Home Service Updates New Look and Feel is Just the Beginning.. Since 2007 when Builderscrack launched, our business has been governed by a strong set of user-focused values. 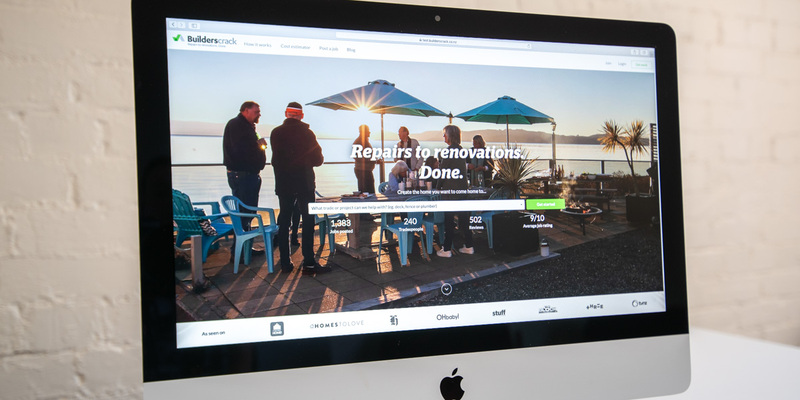 Builderscrack exists simply to make homeowners and tradespeople’s lives easier. Part of this challenge is ensuring our service “just works” with minimal fuss. To respond to this challenge through 2018 and beyond, we set about reaching out directly and listening to both our home and trade users. Through phone conversations, meetings in person, surveys and thousands of messages we’ve grown our understanding of the expectations our users have of our service. Consulting with Ogilvy and local branding and design partner Publica, our team set about laying the foundations for the next version of brand Builderscrack. Alongside this work on our look, feel and brand – we’ve invested heavily on product development; more specifically, improving the mechanics of how Builderscrack works for our users. Where we’re at today, 31st Jan 2019 is the eve of the launch of the new look Builderscrack. And over the coming weeks, we’ll be releasing various marketing campaigns to raise awareness of the benefits of using Builderscrack to find a trusted tradesperson. Throughout 2019 we’ll be continuing to roll out significant refinements, improvements and new features to our product back-end including a full user experience product makeover later in the year. We’re looking forward to hearing your feedback on these changes. Please don’t hesitate to let us know what you think! Glad Builderscrack has worked well for you Isala, thanks for letting us know. Congratulations! It does look sleek!